Former kickboxing champion Israel Adesanya is just one year old in the UFC and has seen a fast rise into the rankings. Currently, he’s the hottest prospect on the UFC roster. He’s 16-0 in professional MMA. ‘The Last Stylebender’ is on a winning way through his dynamic striking and great personality. With that great resume and already being in his prime Adesanya looking for a big name to throw down inside the Octagon. Earlier this week ‘The Last Stylebender’ teases a bout with Jon Jones said he already killed one GOAT, hunting for next one. Earlier today promotion held a UFC 236 Seasonal press conference where all top the fighters staredown for their upcoming fights but pound for pound great Jon Jones didn’t show up due to a mystery illness. However, that didn’t stop ‘Bones’ from calling out other contenders. Jones took to Twitter and shut down Adesanya’s GOAT killing claim. Adesanya is coming off a third-round decision win over a 44-year-old legend Anderson Silva. That win put Nigerian-born New Zealander into a title fight against Kelvin Gastelum this weekend (Sat., April 13, 2019). That wasn’t a titanic performance from ‘Last Stylebender’ that would scare Jones. That was quite a response from Jones. 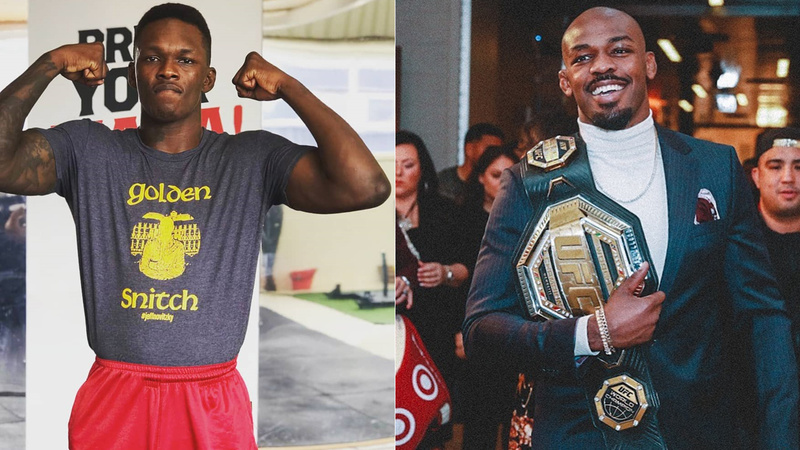 If Israel Adesanya comes out victorious in an impressive fashion tomorrow night as well beat Robert Whittaker in a title unification showdown later this year, he’ll make his case to move to 205 pounds to challenge Jones. Jon Jones is currently scheduled to defend his title against Thiago Santos in the main headliner of UFC 239. If ‘Bones’ wins, he can take on a grudge match with Daniel Cormier at heavyweight, or a potential showdown with Luke Rockhold at light heavyweight. Many fight fans will look up to this matchup if Adesanya wins gold this weekend.